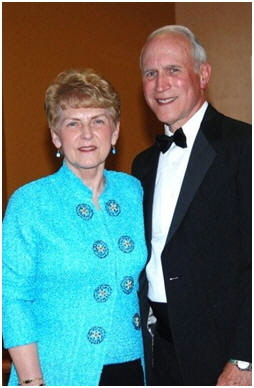 Dr. George A. Durrwachter, a 1961 health and physical education graduate, retired orthodontist, university trustee and his wife, Shirley, donated one million dollars to the construction of the Durrwachter Alumni Conference Center. Dr. Durrwachter has a true sense of history when it comes to Lock Haven University. That history starts in 1916, when his mother, Zoe DeLong Durrwachter, attended the Central State Normal School, the first incarnation of the university. That history spans the years he spent here, both as a student and athletic trainer in the 1960s when the university was known as Lock Haven State Teachers College. And now, that history has become a legacy as he and his wife made a major gift to the Lock Haven University Foundation.